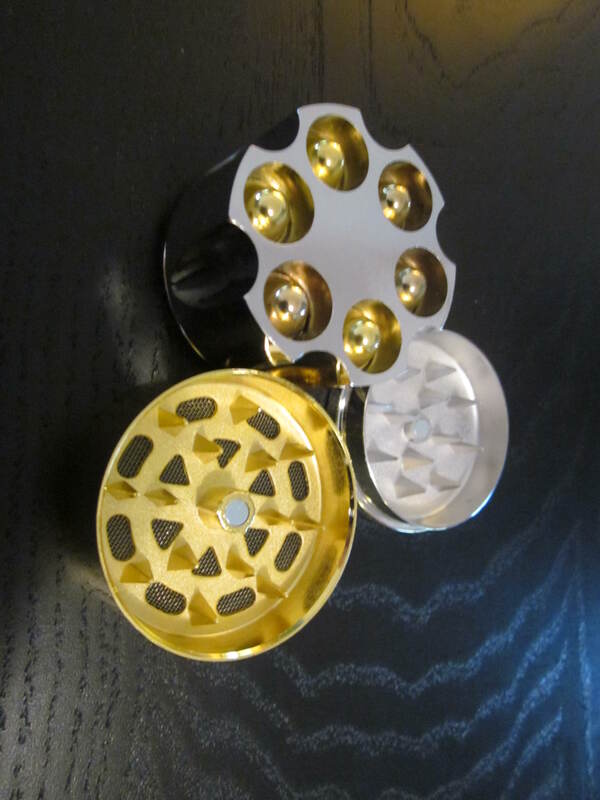 Cartridge revolver style weed cannabis grinder for stoners. Home > Shop > Revolver style marijuana smoking grinder. Revolver style marijuana smoking grinder. 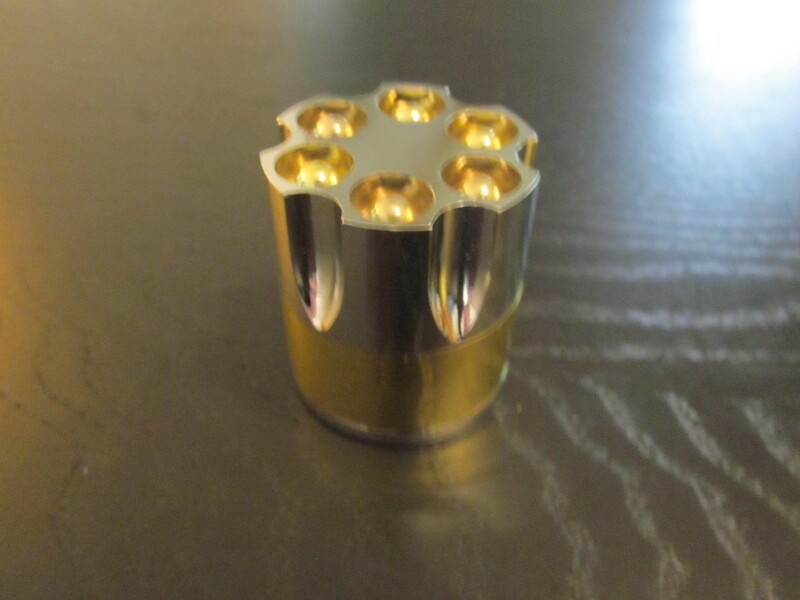 Metal Revolver weed grinder. 1 3/4" diameter. 2" high. 3 pieces. free gift. When i wake up in the morning i like to grind my fresh tobacco and smile all the way to work. Our large selection of smoke accessories from tobacco grinders to cigarette smoking rollers. good for stoners. Black metal smoking pipe .